The above info came from Who Wants to Know?, and was edited by yours truly (contact me). The image came from Kela's Anime Pics. 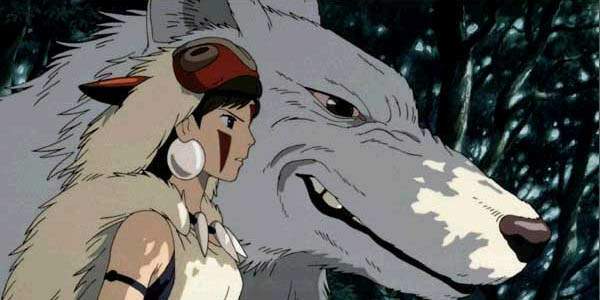 This is a tale that takes place in the Japan of lore, where the gods of nature walk the earth in the form of beasts, and where the progress of mankind threatens to topple the delicate balance that remains. Ashitaka slays a boar god maddended a mysterious plague, but not before he himself becomes infected by the same plague. Searching for answers and a cure, he journeys west, where he encounters an industrial village that threatens the sanctity of a sacred forest watched over by wolf gods. 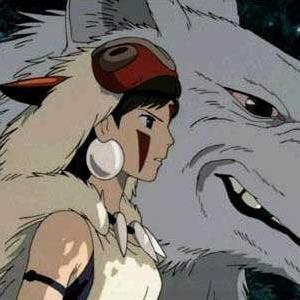 He also encounters a girl, San, and learns that she goes by another name: Princess Mononoke [Mononoke Hime]. She stands with the wolf gods in the fight against the villagers. Now, Ashitaka must choose sides in this rapidly-escalating war... and he must decide soon, for even now the plague continues to ravage him. Can this war explain the plague... and provide a cure?